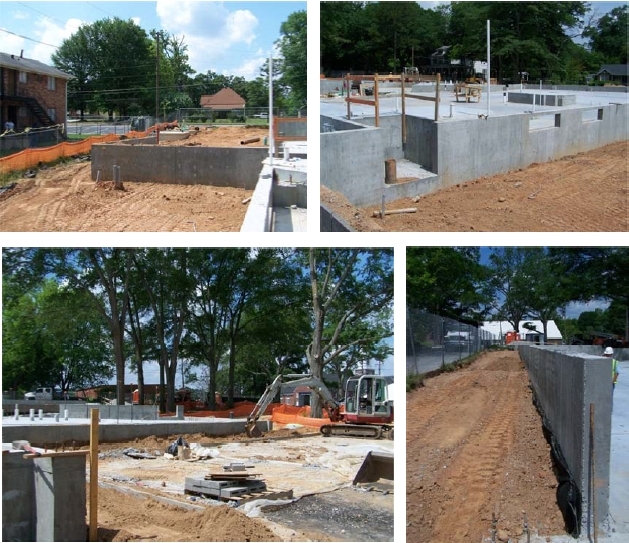 The footings for the steel structural supports are complete, the remaining foundation at the entry has been poured, and the grading around the building is largely complete. 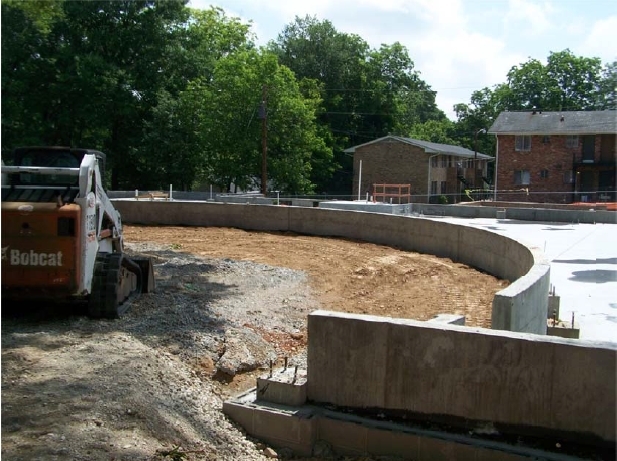 Heading into Memorial Day weekend with these tasks mostly complete: Foundation drains, waterproofing of walls below the surface grade, backfilling, grading. 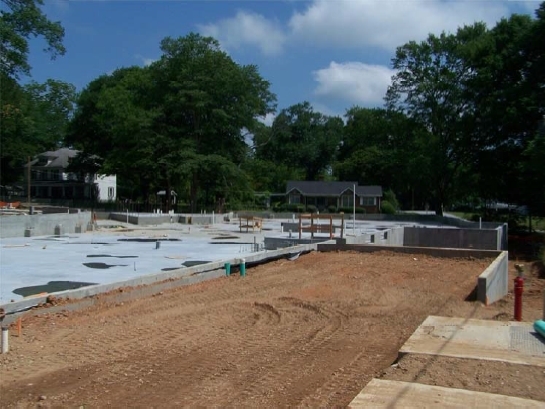 Waterproofing work is ongoing prior to grading work, and the slabs have been poured. 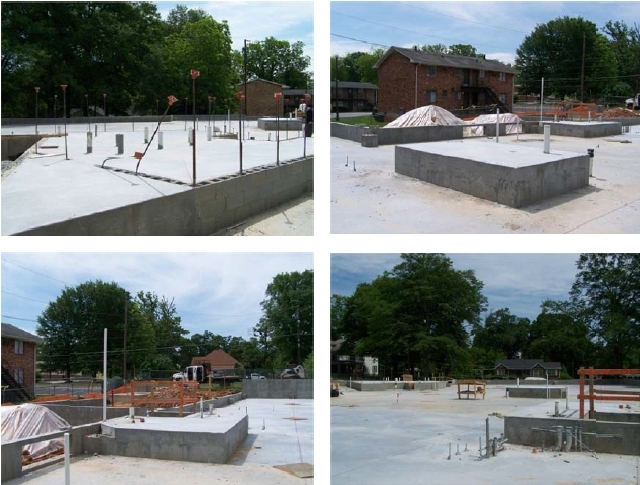 We’ve had steady rain for several days, but work is progressing and most of the slab is now prepped and ready to be poured. 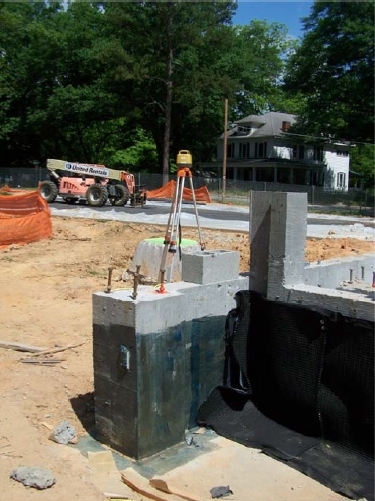 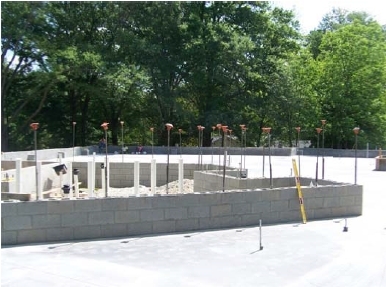 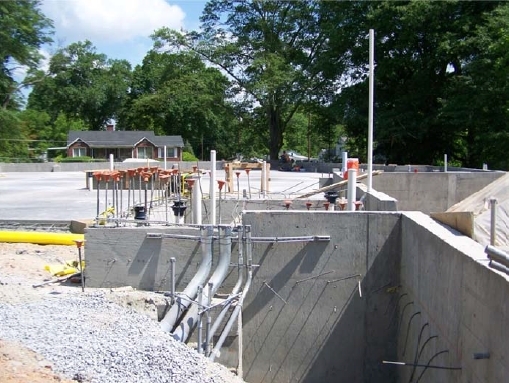 Block walls have been built up to the slab level in the restroom area in preparation for the slab to be poured. 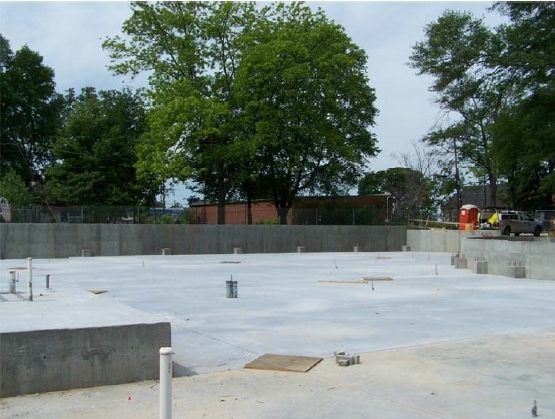 The nursing room slab is ready to be poured. 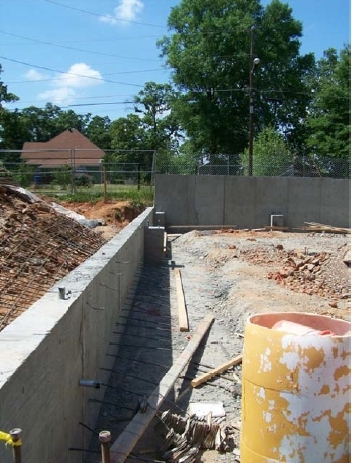 The water proofing of the exterior retaining walls is largely complete. 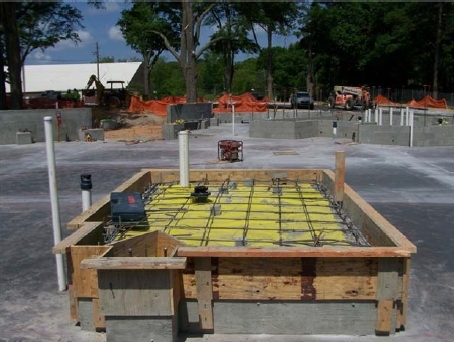 Staff break area is roughed in and ready for the slab to be poured. 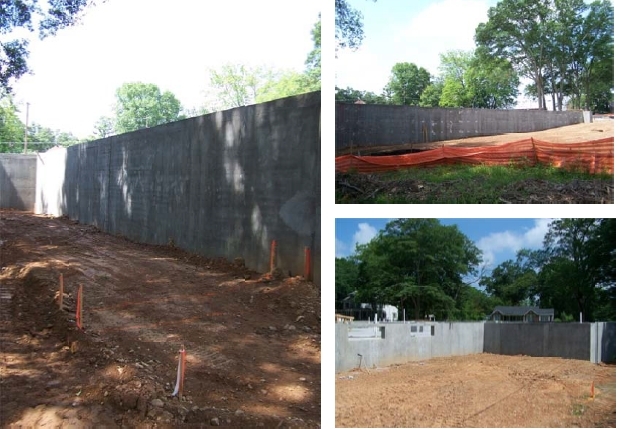 The retaining wall on the east side of the building is complete.